When you're helping plan a pregnant woman's birthday party, your first priority is gauging how she feels. If her birthday falls early in her pregnancy, an energy-packed party is more suitable than a the same sort of party held just weeks before her due date. Depending on her interests and energy level, her birthday party can be a simple outing with friends or an opportunity to whoop it up before the baby arrives. If you get the sense that your pregnant friend or family member wants nothing more than to kick back and relax on her birthday, a spa day is just what the doctor ordered. 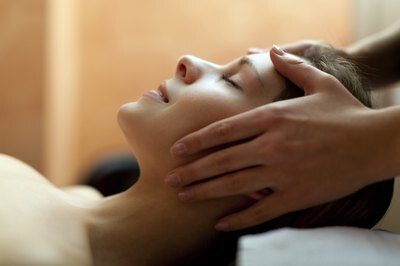 Seek a massage therapy clinic that not only tailors its massages to pregnant women, but can also perform group massages. It's therapeutic and fun for you, the pregnant woman and her closest friends to get treatments together. Other spa-related ideas include manicures, pedicures and facials. If the pregnant woman isn't in the mood to go out, look for a massage therapist who makes house calls. 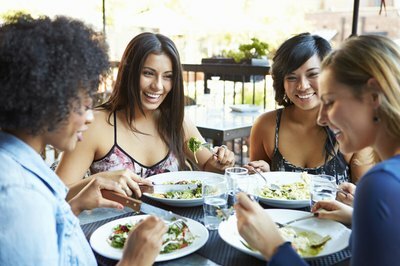 A night on the town can soothe your friend's pregnancy blues, but hitting a bar or club is less than ideal. Instead, reserve a table at an interactive restaurant -- one at which you cook your own food on a grill at your table or watch a chef create some magic in front of you. For a laid-back alternative, try a fondue restaurant. Look for a restaurant with an extensive nonalcoholic drinks menu and throw back a few Shirley Temples together. 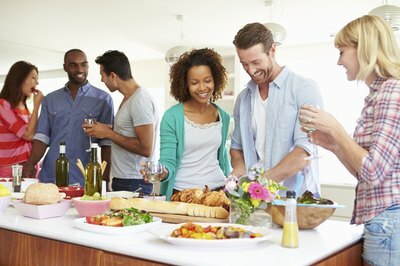 Some women favor low-key activities when they're pregnant, so turn your home into party central for the guest of honor. Order a variety of appetizers from a caterer and enlist the help of a friend with bartending experience to mix up some mocktails for the group. A night of watching cheesy rom-coms or, during the summer, lounging around the pool deck, provides an opportunity for everyone to share laughs without having to be around big crowds. Pack your suitcases and hit the road for a mini getaway filled with shopping, dining and relaxing. Depending on your location, book a bed and breakfast near the ocean, rent a cabin in the mountains or get a hotel in the heart of the city. If the pregnant woman has the energy, hit some outlets for a day of shopping or take in a few tourist attractions. Otherwise lounge at the beach or pool, see a theatrical performance or have a simple picnic in the park. What is the Best Time to Do a Home Pregnancy Test?